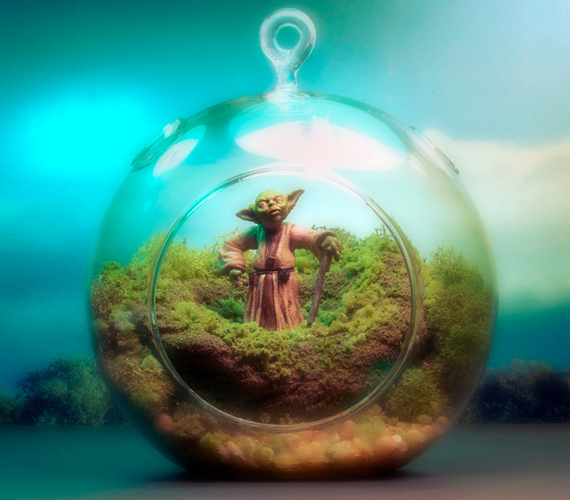 A long time ago, in a terrarium far far away, Yoda hung out on a tiny version of Dagobah just being tiny and awesome. But if you want that to happen all the time, in a terrarium that’s close close by, you just have to buy one from The Wonder Room etsy shop. 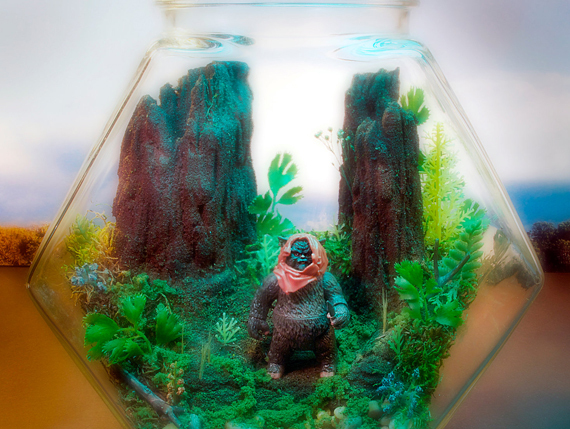 Each terrarium is created by Minnesota based artist Tony Larson and measures about 5” tall. Larson’s shop also includes other cool terrariums with tiny dinosaurs and sasquatches and unicorns and stuff in ‘em. 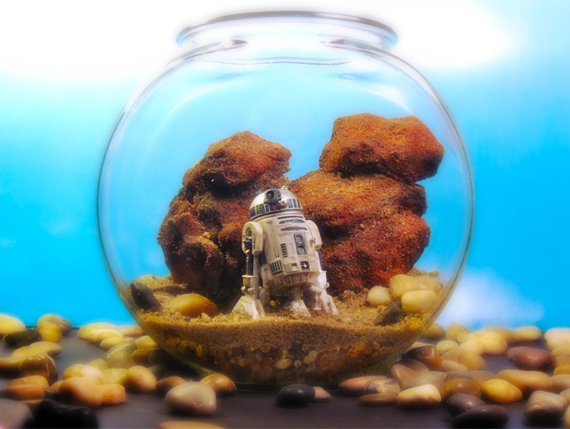 But just FYI, they’re not actual living tiny Yoda’s and Bigfoots in these glass bubbles—I learned that the hard way after I kept leaving pizza bites in the terrariums and nobody ate them… except for hundreds of ants. Which is actually pretty dope because now I have an awesome terrarium AND an ant farm.